Iraqi forces drive in military vehicles in Iraq's eastern Salaheddin province south of Hawijah, Oct. 10, 2016. Energy suppliers are trying to use energy exports as a key factor in shaping foreign policy and their relations with neighbors and other countries. Iran and Saudi Arabia as two key members of the Organization of Petroleum Exporting Countries (OPEC) have their own priorities and interests in the region. Their opposing interests have forced them to support opposing sides in regional tensions, such as in Syria and Yemen. U.S. sanctions against the Iranian energy sector have given an opportunity to OPEC and non-OPEC members to export more oil to the regional and world market to take Iran's stake in the market. Presently, Iran exports electricity to neighboring countries and according to Iran's 20-year development, by 2025 they must prepare all the required infrastructure to become a regional electricity hub. Iraq is the biggest importer of Iranian electricity. Both countries signed an agreement in 2005 to export Iranian electricity to Iraq. Iran and Iraq have signed an agreement over exporting 150 MW of electricity to Iraq annually. This agreement is extended every year. By Feb. 11, 2019, Iran extended electricity to Iraq for one more year. Iraq imports 120-130 MW annually. But due to sanctions and Iraq's financial problems, Iraq was not able pay for importing electricity. According to Iranian officials, Iraq is interested in paying its debt and is looking for a way to send money to Iran. Homyon Hairi, deputy to the Iranian minister of energy, believes that, "There is a positive outlook in this regard, which is to be followed by joint executive working groups." Iraq and Turkey are Iran's major natural gas buyers. Iraq began importing gas from Iran in late June 2017, with imports of about 14 million cubic meters per day, with Turkey importing about 30 million cubic meters a day. Iran plans to export 25 million cubic meters of gas daily to Baghdad and to transfer gas to Basra province. As mentioned earlier, Iraq is unable to pay for electricity and natural gas from Iran. According to the latest statics released by the Iranian Ministry of Oil, Iraq must pay about $2 billion to Iran over natural gas and electricity imports. It is expected to solve this problem during Iranian President Hasan Rouhani's visit to Iraq. Rouhani has shown interest in exporting more electricity to Iraq; though he has not mentioned the methods they may be able to agree upon in paying the electricity and natural gas debt to Iran. It seems both presidents have not agreed on this issue. Last summer, Iran cut the electricity flow to Iraq due to high domestic consumption, according to Reza Ardakanian, Iran's minister of energy. Iran's neighboring country has a wide range of demands, partly through Iran's transmission lines, adding: "We are in constant touch with Iraq, and just a few days ago, the Iraqi Minister of Electricity was here and talked to us." Stopping the export of electricity from Iran has aggravated the problem of electricity in Iraq, causing massive street protests, especially in Shiite cities, against the central government as well as against Iran. Iran cutting electricity provides an opportunity for Saudi Arabia to use energy investments in Iraq to increase its political influence. According to the spokesman for the Ministry of Electricity, Musab Sari al-Mudaris, Saudi Arabia has agreed to launch a solar power plant with a production capacity of 3,000 MW in northern Saudi Arabia near the Iraqi border, and each megawatt of electricity will be offered to Iraq at $21, which is equal to one-quarter of Iran's electricity exports to Iraq. Saudi Arabia has not only put electricity prices at a quarter of Iran's electricity prices but also exported three times more exports than Iran. Saudi Arabia continues to compete with Iran in the economic sphere by building a solar power plant in Iraq and selling electricity to that country. After Rouhani's visit to Iraq, Saudi Commerce and Investment Minister Majid bin Abdullah Al Qasabi visited Iraq and met with Iraqi officials. According to an official statement by the Iraqi president, Iraq is interested in establishing a mechanism for joint economic interests with regional countries, especially Saudi Arabia. Last year, the Iraqi government showed interested in developing and boosting its relations with Arab countries. Iraq and Saudi Arabia signed an agreement in 2017 to form a coordinating council. Saudi Arabia is seriously trying to expand its ties with Iraq with the aim of limiting Iran's influence in Iraq, with at least a counterbalance to it. Of course, the United States has also contributed to this strengthening of relations between Iraq and Saudi Arabia, especially as the United States, like Saudi Arabia, wants to reduce Iran's influence in the region. But the point is that all this competition will be beneficial for Iraq. Saudi Arabia is pursuing its main goal by strengthening its ties with Iraq: First, the decline of Iran's influence in Iraq, and the other in attracting Iraq to its Gulf-Qatari axis. Saudi Arabia has concluded that the policy that has taken place in Iraq since 2003 is wrong and that Iraq is a fundamental part of the Arab world's geography. For about six months, officials and senior officials from Saudi Arabia and Iraq have been meeting, and there are ongoing efforts to work together and reach a new alliance. Saudi Arabia is using investments in multiple countries' infrastructure and energy sectors to boost its political influence in the country and also trying to affect foreign policy orientation. Saudi Arabia plans to invest in an area of 1 million hectares in the livestock and poultry industry of Iraq. Saudi Crown Prince Mohammed bin Salman – on his visit to India, Pakistan and China – tried to use investments in these countries' energy sectors to reduce Iran's role in these countries' energy basket and energy security. Iran and Saudi are Shiite and Sunni countries looking to expand their sphere of influence in the region. 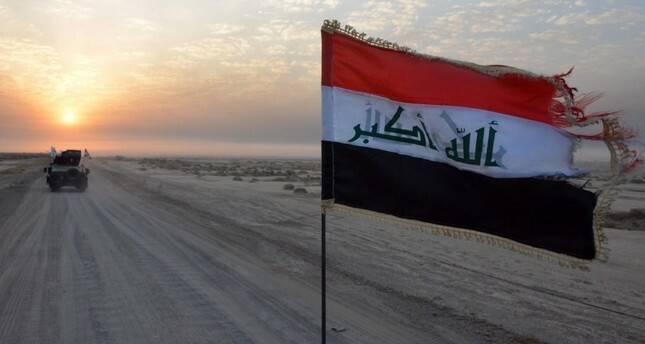 Iraq with both Sunni and Shiite people is very important for Iran and Saudi perspectives and it seems that in coming years both countries will be using all instruments to increase their presence in Iraq and reduce the influence of other countries in Iraq. Saudi Arabia, with huge financial capability, will be able to play an important role in Iraq post-Daesh. Iraq needs billions of dollars for construction post-Daesh and is an opportunity for Saudi Arabia to increase its influence. Iran never wants to lose its key role in Iraq and in Iraqi Shiite groups. Iran also wants to have a role in Iraq in the post-Daesh period.